Nepal’s literacy rate is around 56% for women. However, the practical reality is much lower. Many of the women and girls we support are defined as “literate” however although they may be able to read (and possibly even write) the letters of the Nepali alphabet and increasingly for girls in English too, they cannot, for example, read dosage instructions on a medicine bottle, or work out which bus to take, or read a pamphlet teaching them about nutrition for their children. 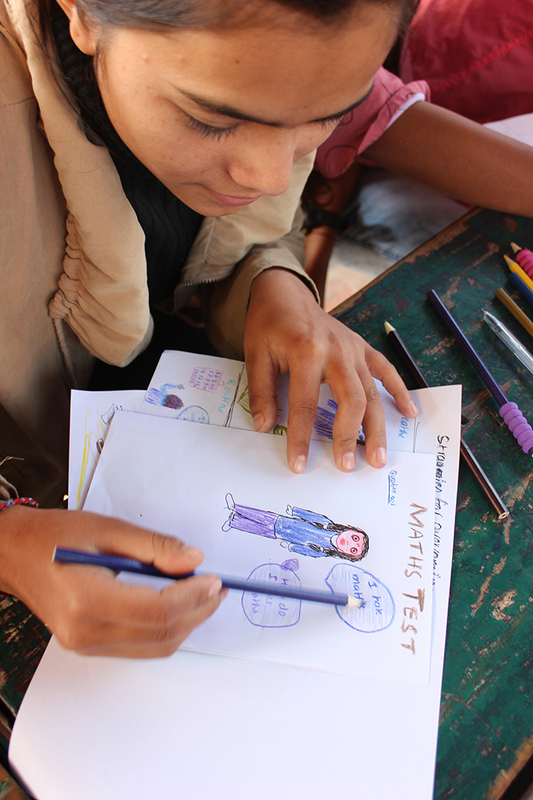 Even for students who are completing class 10 SEE exams, their functional literacy and communication skills are limited due to the teaching and assessing styles of schools. Many students are graduating functionally illiterate. This is our Women’s Program which involves literacy, financial literacy, entrepreneurial studies and life skills for urban poor women. In the past, we offered a 9 month program and had over 500 women complete the training. However, we realised that many of them were bouncing from training to training, having come to us from other organisations and with still limited functional skills. We currently offer the program less formally, working with women in our network in their homes and networks and through our monthly meetings, to ensure that the skills are directly incorporated within their routines and personalised to their issues. Many of these workshops are run by our students who are learning these skills through their Dream Catchers Life Skills workshops, paying forward their new skills with their parents, aunts, uncles and community members. We also support women to establish sustainable businesses Click Here. We work through a feasibility study with them and support them with a start-up loan but they do not pay it back to us – they pay it forward to the next group of women and mentor them through the process. Part of our commitment to developing networks to support each other. The Junkiri Award aims to empower Nepal’s youth to light up their own futures, much like the Junkiri (firefly) does. Once the fireflies have completed all 6 wedges, they will be awarded their certificate. 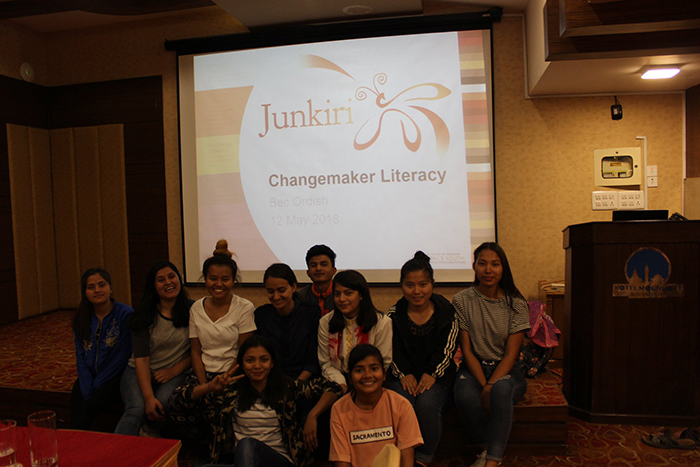 The Junkiri Award aims to create leaders – change-makers and confident role models – as well as to give participants skills and experience to be added to their CV in future. A group of 12 Fireflies are currently working through their award as a pilot group. Their confidence and self-belief have increased significantly over the course of the project so far. We plan to roll out this Award to all Mitrataa students as well as making it available in schools and colleges, youth groups and other organisations in future. One of our gorgeous partners, Libby Hathorn, wrote a children’s story based on a young girl in Nepal and her path towards her dreams through an education, called Sangita’s Singing. We use this book both to raise funds for Mitrataa and also as a tool to educate Nepali teachers on how to use a tool other than the text book to teach the students literacy, stories, bullying, town v village, using our strengths to overcome challenges and many other themes. We were then very excited to turn the book into a musical with script and lyrics written by Libby Hathorn and music composed by Elise Morton, who visited Nepal to produce our first production of the musical. Under Elise’s mentoring a cast of 30 students from one of our partner schools, Wilson Academy, did 3 performances – one for their peers at school, one for their parents and then the final one in front of 200 members of the Mitrataa family. 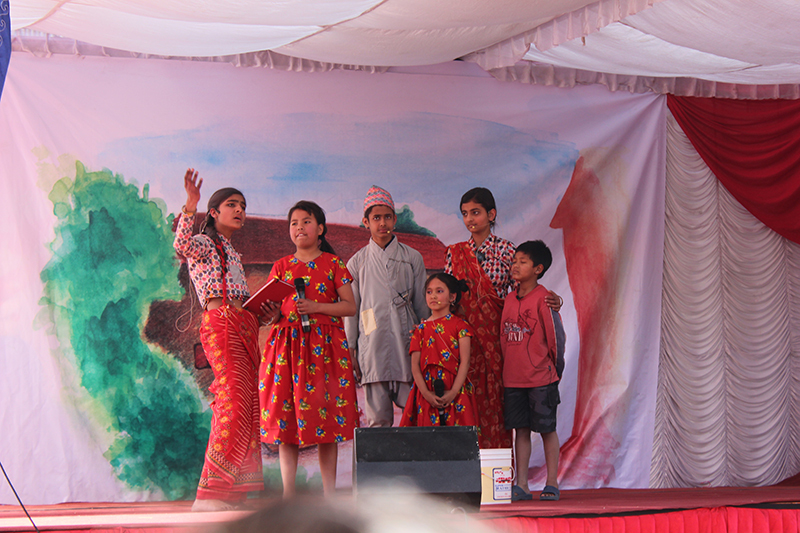 Sangita’s Singing is a story with universal themes – literacy, education, bullying, celebrating our strengths, friendship. There were 11 Mitrataa students in the cast and watching them develop so much confidence and new skills was a privilege, especially Sudip who used to be shy and now has discovered a love of dancing and sharing his ideas with people. Each and every one of the cast opened themselves up to learning so much. We are now planning to run the musical program with some of our partner village schools. Financial literacy is one of the greatest challenges facing Nepalis. At its core is a strong fear of numbers learned and taught over generations in school. It isn’t possible to rote learn maths, so many children fail and develop a fear of numbers. This means that they cannot do basic budgeting or other skills necessary for household and small business financial management. 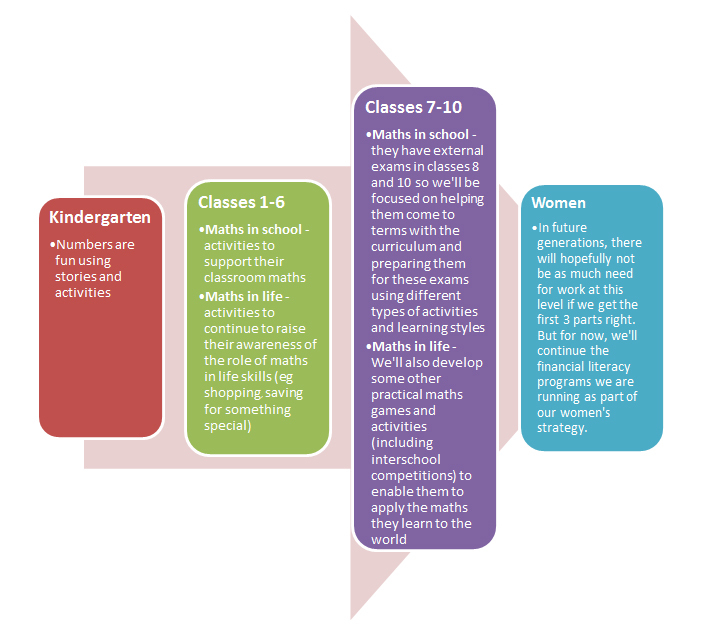 We want to demystify maths and numbers and make them accessible to the kids and women we work with, to empower them to make great, informed and confident financial decisions in their future. 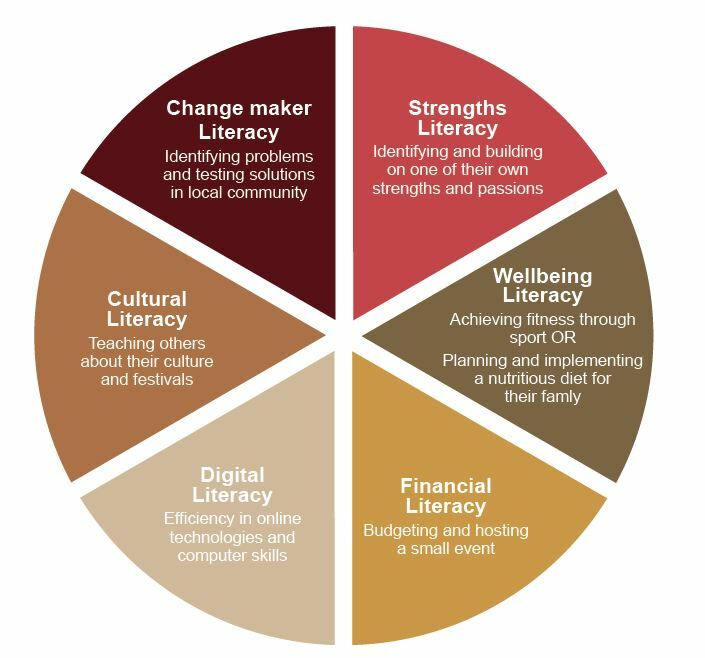 Our strategy has 4 main elements to ensure we capture them young and instil a love of numbers and then reinforce it throughout their education and adulthood.